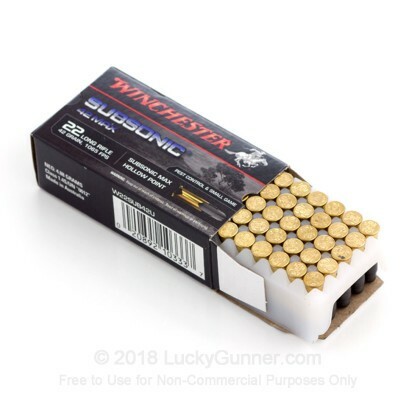 Winchester is one of America's premier ammunition companies and is credited for inventing iconic firearms and calibers that are in-use around the globe today! 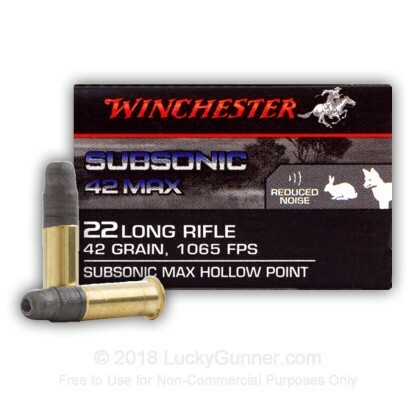 As such, these .22 Long Rifle rounds from one of their latest lines can be trusted to take gophers, squirrels, and rabbits with amazing efficiency. 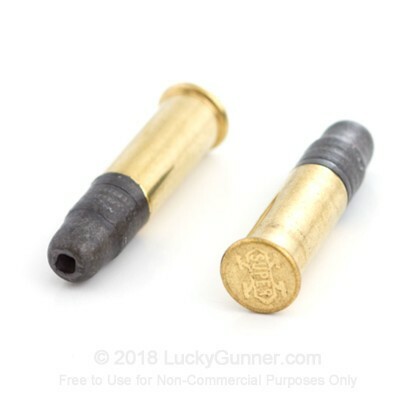 Due to their subsonic velocity, these cartridges produce very little report especially when combined with a suppressor; this not only benefits the hunter's hearing but helps to maintain an edge over sensitive, scurrying critters at a distance. Winchester's ammunition is made in the U.S. and backed by over 150 years of experience. 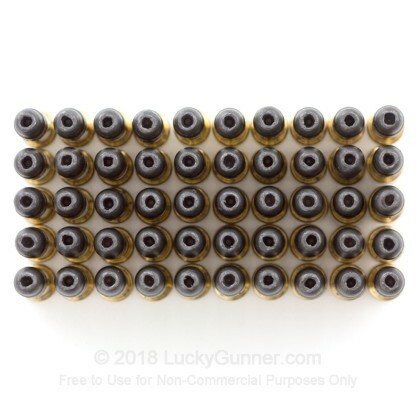 Each of these .22 LR rounds is assembled using a factory-rolled rimfire brass casing which contains a mercury-free priming mixture at its base. The case is filled with clean-burning power and topped with a 42-grain lead hollow point (LHP) projectile. The LHP has a large bourrelet for maximum rifling engagement which results in incredible accuracy when fired through a high-quality barrel. The bare lead design, relatively heavy weight, and wide-mouth cavity yield major expansion during the first leg of entry into a game target. This ensures proper energy deposit into thin-skinned animals for quick, clean, humane kills. These are unreliable. They do not fire most of the time and when they do they are all over the target. 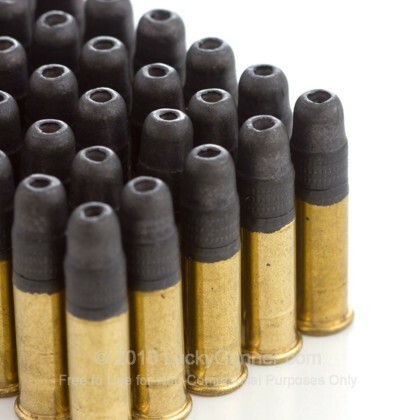 I bought 2,000 rounds and out of 500 rounds 200 never fired. 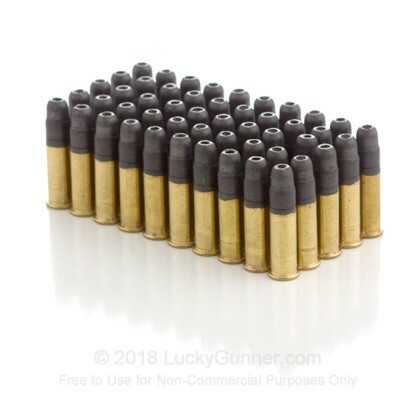 I would not buy this ammo ever again. 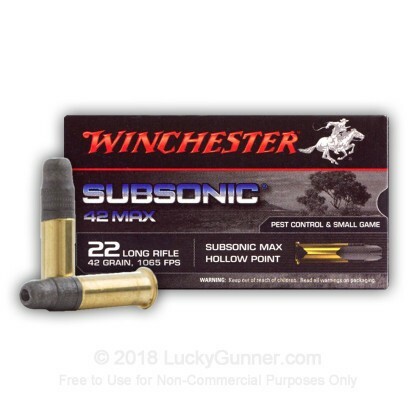 We also have this 22 LR - 42 gr LHP - Winchester Subsonic Max - 50 Rounds ammo in stock in a smaller quantity.